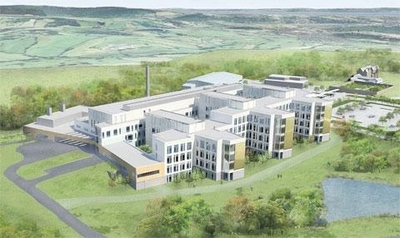 The Welsh Government has confirmed funding to build a super hospital on the site of the former Llanfrechfa Grange Hospital outside Cwmbran. Health Secretary Vaughan Gething has given the green light for the construction of the new Specialist and Critical Care Centre where Laing O’Rourke has completed enabling works under a pre-construction deal. Final tender costs are yet to be agreed with the contractor, but the Welsh Government will invest £350m in the new hospital. It is expected the SCCC will open in 2022. The project finally achieved backing for its business case 12 years after plans were first proposed. Gething said: “I know there has been a high level of public and political interest in this project and after careful consideration I’m delighted to have approved the full business case for the SCCC. “I will now release capital funding from 2016/17 to 2021/22 to build what will be a state-of-the-art hospital in Gwent. Designed by BDP Architects, the 462-bed purpose built hospital will provide treatment for those who require complex specialist or critical care and will consolidate specialist services in the region. It will include a trauma and emergency assessment centre, specialist cardiac, radiology and stroke services, critical care, an obstetrics unit, emergency and complex gynaecology plus specialist paediatric emergency and inpatient care. Current plans are that construction will start on site in early 2017 with completion in the summer of 2021. The hospital is scheduled to open to patients in the Autumn of 2021.